She sent me this... it's one of those mass email thingamabobs. 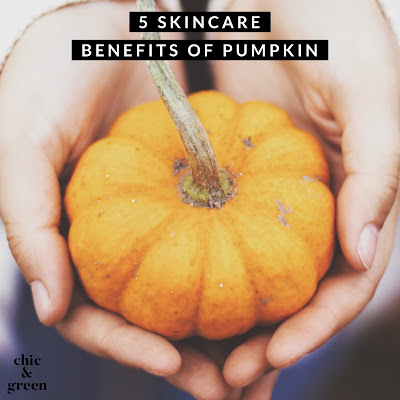 There's no way of know exactly where it originated, but, man, these are some share worthy, thrifty & fabulous tips! 1. Cover bowls or dishes when cooking in the microwave. Coffee filters make excellent covers. 2. Clean windows, mirrors, and chrome... Coffee filters are lint-free so they'll leave windows sparkling. 3. Protect China by separating your good dishes with a coffee filter between each dish. 4. Filter broken cork from wine. If you break the cork when opening a wine bottle, filter the wine through a coffee filter. 5. Protect a cast-iron skillet. Place a coffee filter in the skillet to absorb moisture and prevent rust. 6. Apply shoe polish. Ball up a lint-free coffee filter. 7. Recycle frying oil. After frying, strain oil through a sieve lined with a coffee filter. 8. Weigh chopped foods. Place chopped ingredients in a coffee filter on a kitchen scale. 9. Hold tacos. Coffee filters make convenient wrappers for messy foods. 10. Stop the soil from leaking out of a plant pot. Line a plant pot with a coffee filter to prevent the soil from going through the drainage holes. 11. Prevent a Popsicle from dripping. 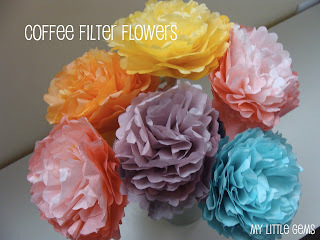 Poke one or two holes as needed in a coffee filter. 12. Do you think we used expensive strips to wax eyebrows? 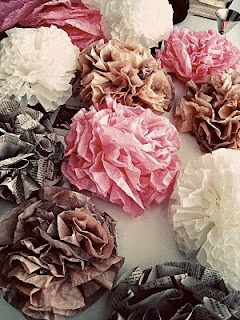 Use strips of coffee filters..
13. Put a few in a plate and put your fried bacon, French fries, chicken fingers, etc on them.. It soaks out all the grease. 14. Keep in the bathroom. They make great "razor nick fixers.."
15. As a sewing backing. Use a filter as an easy-to-tear backing for embroidering or appliquéing soft fabrics. 16. Put baking soda into a coffee filter and insert into shoes or a closet to absorb or prevent odors. 17. Use them to strain soup stock and to tie fresh herbs in to put in soups and stews. 18 Use a coffee filter to prevent spilling when you add fluids to your car..
19. Use them as a spoon rest while cooking and clean up small counter spills. 20. Can use to hold dry ingredients when baking or when cutting a piece of fruit or veggies. Saves on having extra bowls to wash.
21. Use them to wrap Christmas ornaments for storage. 22. Use them to remove fingernail polish when out of cotton balls. 23. Use them to sprout seeds. 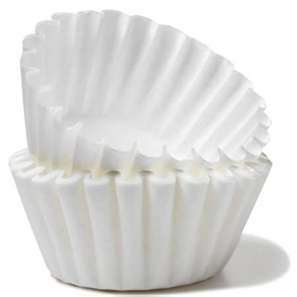 Simply dampen the coffee filter, place seeds inside, fold it and place it into a zip-lock plastic bag until they sprout. 24. Use coffee filters as blotting paper for pressed flowers. Place the flowers between two coffee filters and put the coffee filters in phone book. 25. Use as a disposable "snack bowl" for popcorn, chips, etc. 26. Great in the tool room when separating nails and screws then use in to bottom of containers to remove moisture and prevent rust. They can be used to make some seriously lovely crafts! Just look at these coffee filter flowers and wreath. 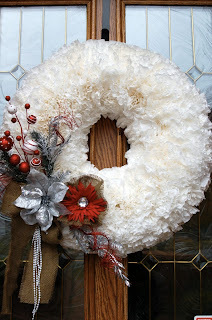 I will tackle one of these projects soon for another Thrifty & Fabulous post. In the meantime, make use of this handy, everyday item! This blog contains affiliate links. I am a member of the Amazon Influencer program, Share a Sale, and Pepperjam. I occasionally post links via these affiliate programs to products I like. 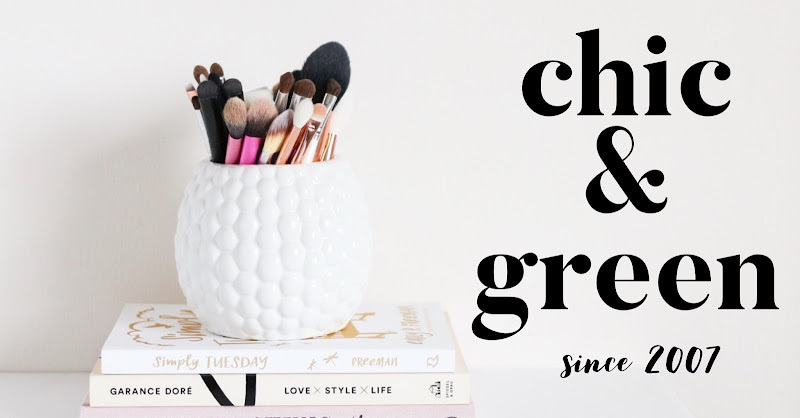 If you should make a purchase after following the link, I earn a commission. © Chic and Green. Design by Fearne.